The poll surveyed 400 likely voters from Oct. 6-8 with 41 percent of interviews conducted via cell phone. The poll has a margin of error of plus or minus 4.9 percentage points. 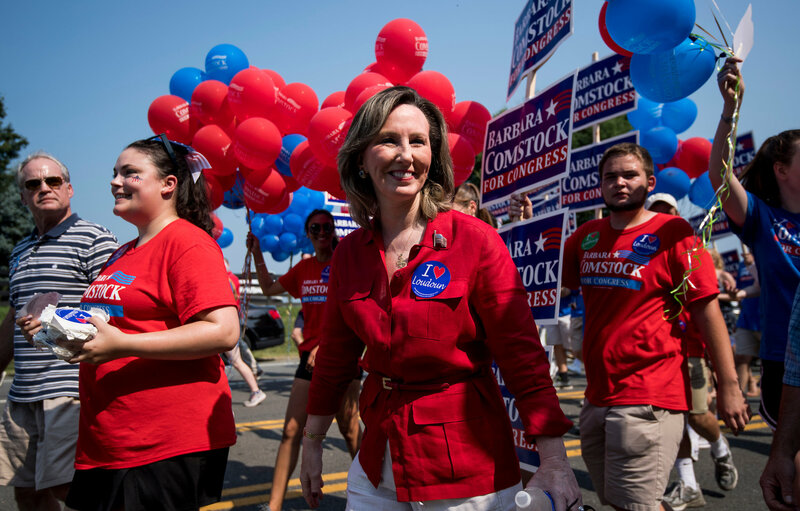 Comstock remained better known than Wexton in the McLaughlin poll, with 44 percent of voters having a favorable opinion of her and 42 percent having an unfavorable opinion. Only 3 percent had never heard of Comstock, compared to 15 percent who had never heard of Wexton. Thirty-nine percent of voters had a favorable opinion of Wexton and 33 percent had an unfavorable opinion. The poll was conducted with 400 likely voters on October 6th to the 8th with 41% of respondents using cell phones. Read more about the polling here.